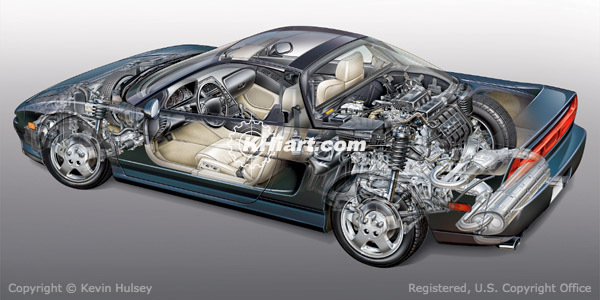 This illustration of the Acura NSX sports car was created digitally using Adobe Illustrator and Photoshop. 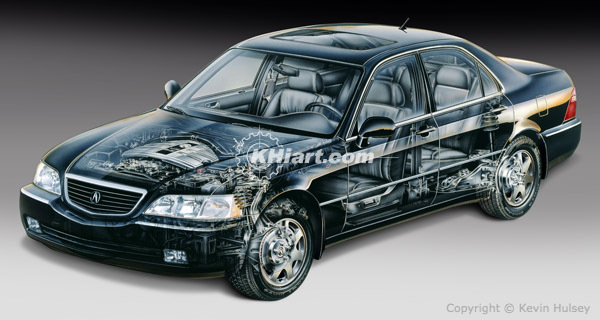 This collection of technical illustrations was done for Acura of North America over the last two decades and includes artwork for the Acura Integra, Legend, TL, RL and the legendary NSX sportscar. 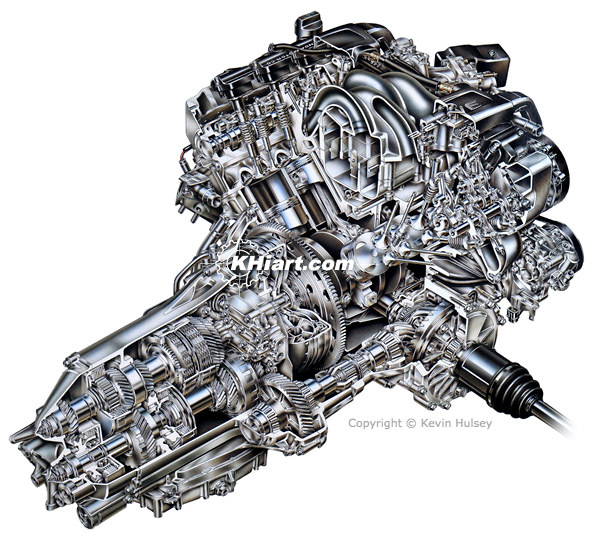 This cutaway shows an Acura Legend engine and front-wheel-drive manual transmission. 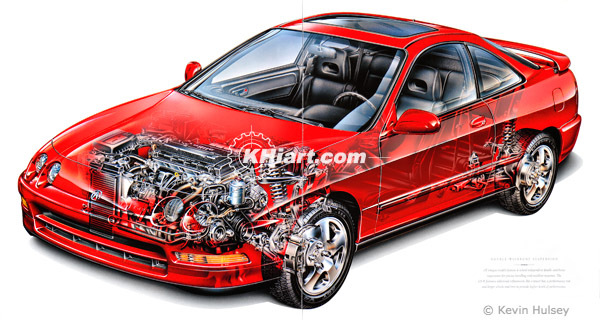 This cutaway of the Acura Integra was done in airbrush, acrylic, ink and illustration board. 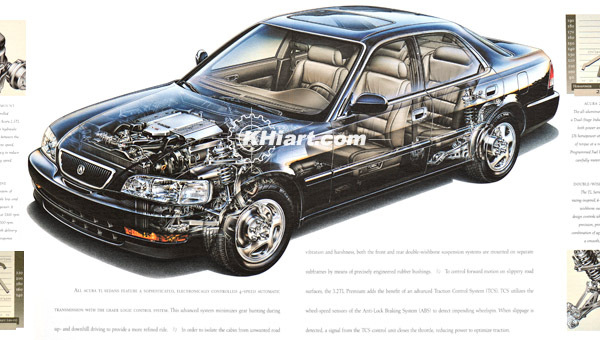 This spread reprint is from the Acura TL consumer brochure. 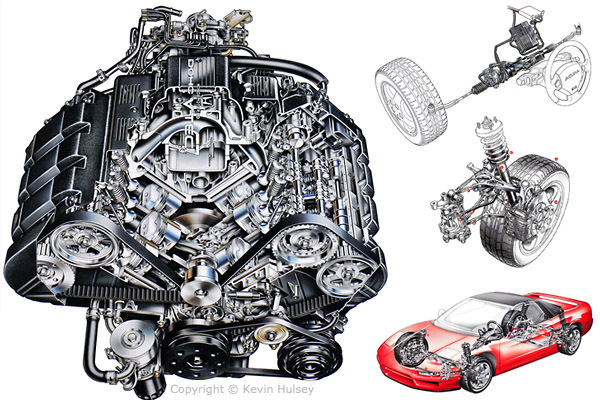 The image above is a sampling of illustrations that appeared in Acura's NSX fact book which was a coffee-table sized gift book that was given out to NSX buyers. 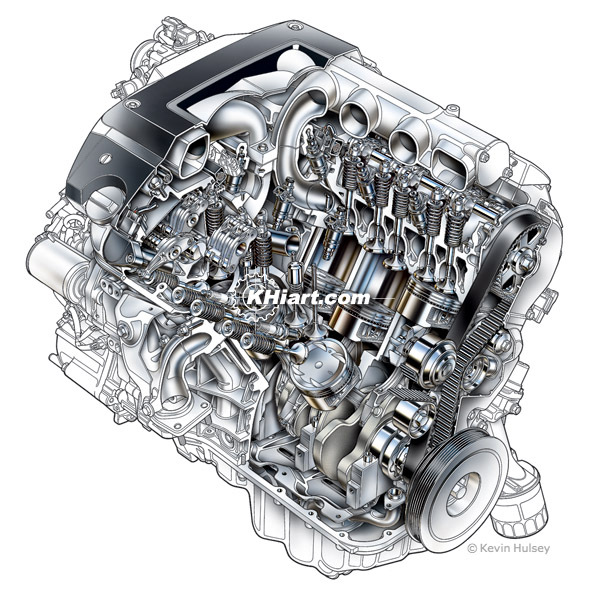 This cutaway engine was used in the Acura TL consumer brochure. 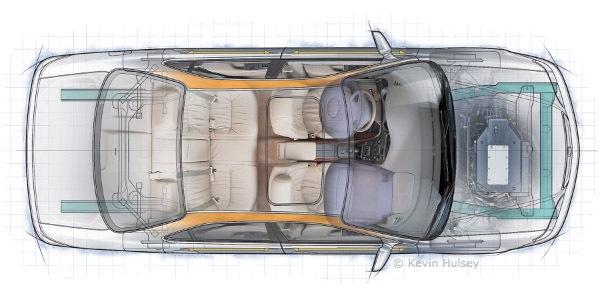 This drawing shows the RL's passenger safety features.